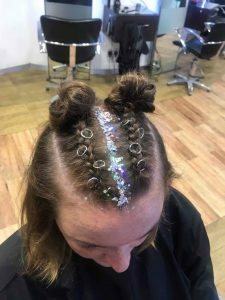 Our team of expert hairstylists have been reviewing the latest festival hair ideas for Summer 2018 in Bristol, and we’ve come across quite a few top trends and new looks to try for the Summer music festival and party scene. 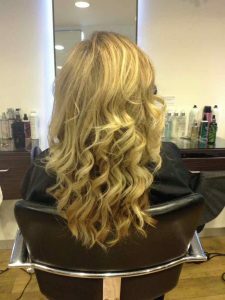 Whilst some festival-goers prefer to go to considerable lengths getting multi-coloured, high-impact and high maintenance Summer hairstyles and festival hair in place, many of our clients prefer a fast, low-maintenance look. Often, a simple hair-up with a few fun tweaks is all that’s needed to make for a unique, fun, and eye-catching festival hair look to wow your friends this Summer. 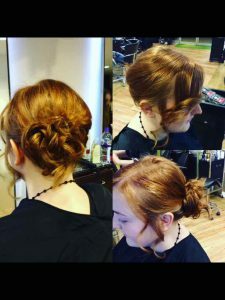 And, of course, our team of central Bristol hairstylists can help. This festival hair look, as adapted from the catwalk model picture at the start of the blog, is a simple and quick hair-up with a twist, by adding sparkles. 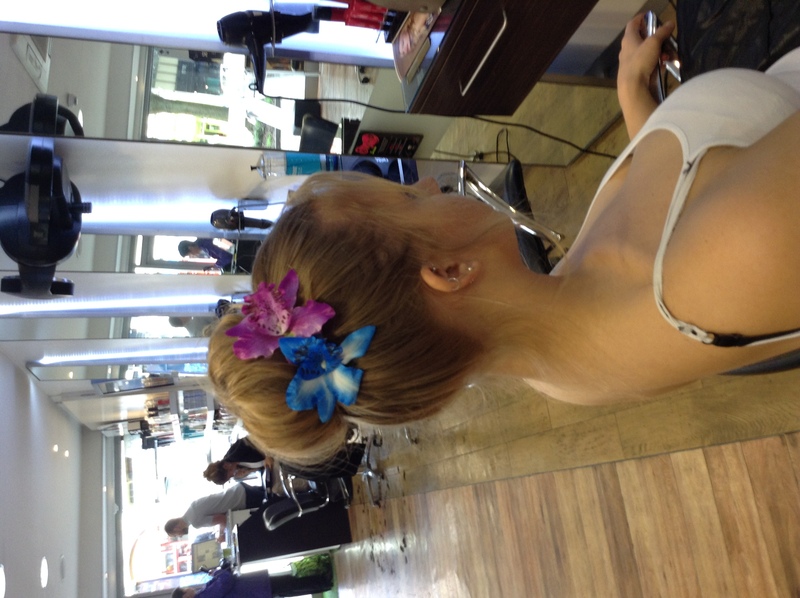 This is a great example of one of our festival hair ideas for clients in Bristol, and most of our Summer hair-ups are easy to maintain, last for 2-3 days making them ideal for a music festival weekend, and only cost £15 too. 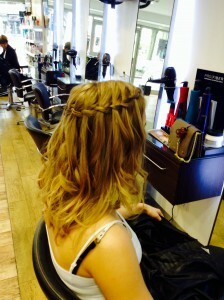 Previous festival hair trends have included Baby Spice-inspired pigtails, Boho scarves tied into longer hair, rainbow-coloured braids, pierced and embellished braids, flowers woven into long and short hair, glittery and shiny hair accessories, and many more versatile, colourful and gorgeous looks. 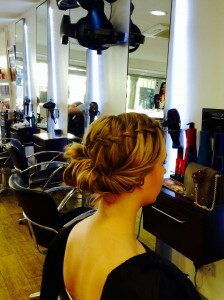 We offer all clients a full and free hair consultation, too, so if you’re not sure what festival hair look is right for your hair type, hair length and face shape, pop in to our Baldwin Street hair studio to chat about getting the best new look, to ensure your festival hair turns heads for the right reasons in 2018! To see the full range of festival hair tips, Summer hair ideas, hair moisturising treatments, hair care, highlighting, hairdressing, British Hair products, hairstyling equipment, hair straighteners, hair curlers, curling wands, men’s hairdressing, hair treatments, hairstyling services, hair toning, hair colouring, haircuts, creative cutting, gents hairstyling, hair styling equipment, haircuts, and hair extensions we offer, please get in touch here. 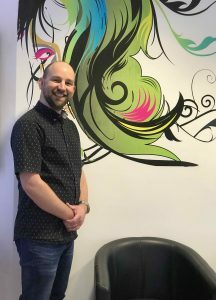 We’re really excited this week, as a new stylist has joined our busy central Bristol hair salon as a full-time member of the team, following an increasingly busy year, with a hectic Autumn ahead for our hairdressing clients. 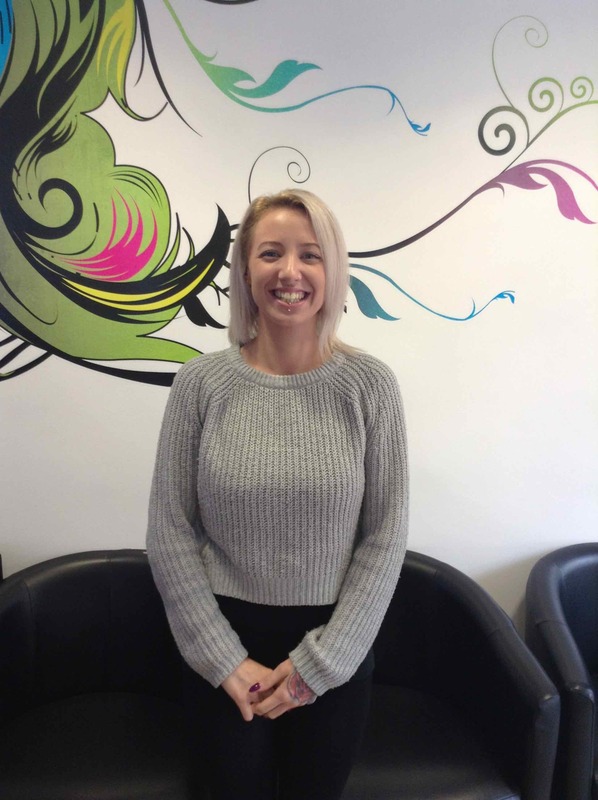 Lisa, pictured above, has over 13 years hairdressing experience, having previously worked at the popular Bristol city centre hairdressing company Guy Fawkes. Lisa has also worked for other hair salons in the greater Bristol area. 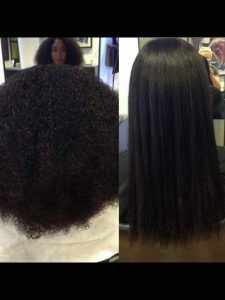 Lisa (30) specialises in hair colouring, hair-up, wedding hair, hair extensions, working with Afro hair, and is qualified on working with Kerastraight for clients. 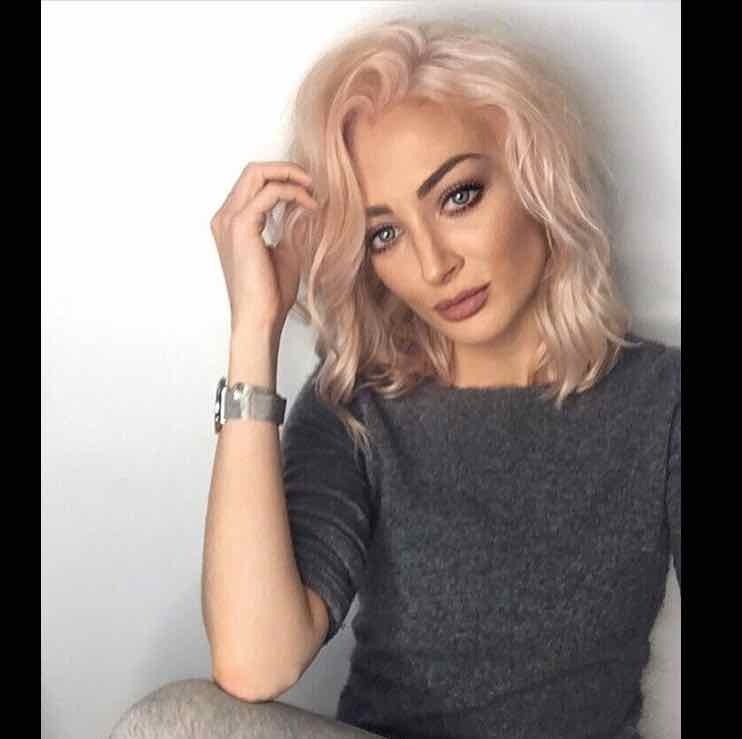 As an NVQ Level 3 hairdresser, Lisa brings a wealth of experience with her, and she’s made a huge mark on the team in only a few weeks on board. 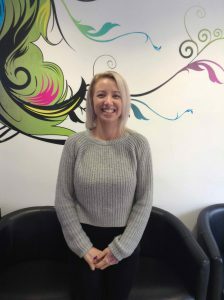 Lisa joins our team of central Bristol hairdressers as we head into the busy Autumn and pre-Christmas season, with high demand for new seasonal hairstyles and the latest hair colours for Autumn keeping us all really busy. To celebrate Lisa joining our team of central Bristol hairstylists, we’re giving a fantastic introductory offer on her amazing hair colouring services in-salon. 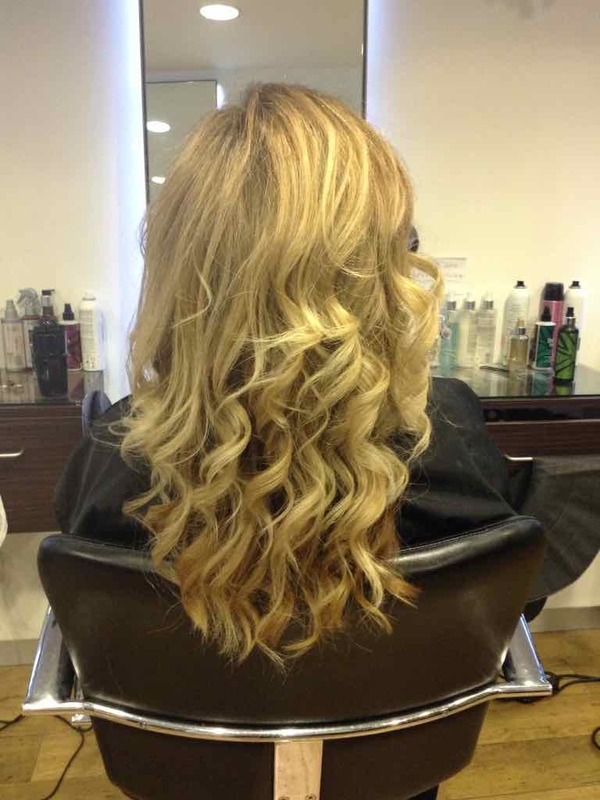 Any client booking a hair colouring service with Lisa will also get a half-price haircut at the same time. Please mention this blog post when booking. 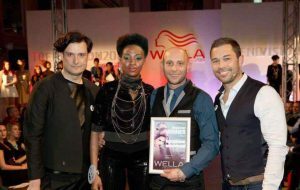 To see the full range of haircuts, creative cutting, hairstyling, hair treatments, gents hairdressing, hair care, hair colouring, hair styling equipment, hair products, haircuts, hairdressing, and hair extensions we offer, please get in touch here. With Glastonbury Music Festival still ringing in our ears for another year, the hairdressing team at our central Bristol hair salon here at Aidan Garlington are busy delivering a seasonal favourite for our clients – festival hair in Bristol this Summer. 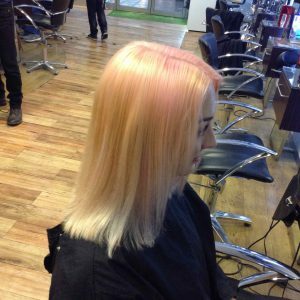 And with so many music festivals taking place in June, July and August now is the perfect time for clients to consider a visit to our unique Colour Bar for the addition of exciting and vibrant temporary hair colouring or hair strips for big events. Getting amazing festival hair in Bristol this Summer couldn’t be easier, too. One of the favourite temporary hair colour services at our Baldwin Street hair salon is Hair Chalks – these provide vibrant colour strips in the hair, typically in gorgeous blue or pink, as well as other pastel shades as required – which only take 15-20 minutes to apply. 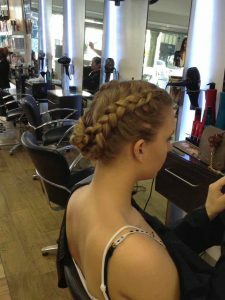 This bespoke hairstyling for Summer festivals creates a stunning hairstyle which is perfect for music festivals, beach parties and big Summer events. Our Hair Chalks also require no hair bleaching, deliver stunning party hair for Summer, and wash out within a couple of shampoos. 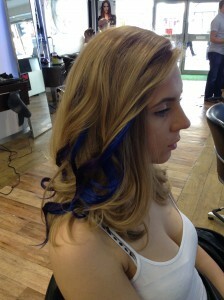 All of these fast and fabulous Hair Chalk services are provided at our unique Colour Bar in central Bristol. Simply ask in-salon for further details. 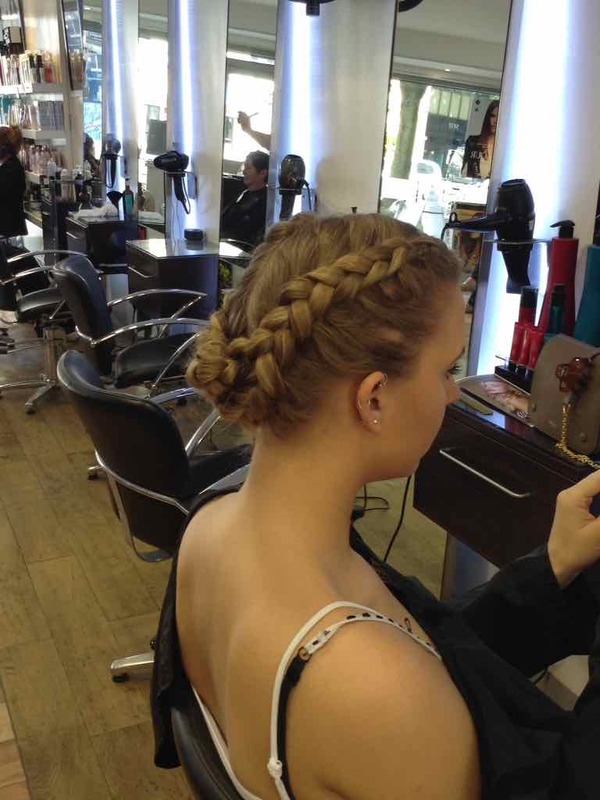 We also provide quick Hair-Ups, Up-Do Hairstyling and Hair Plaits for clients, which remain a firm favourite for Summer and festival hairstyles in Bristol. And to top it all, our prices are just as attractive as the Summer hairstyles, too! 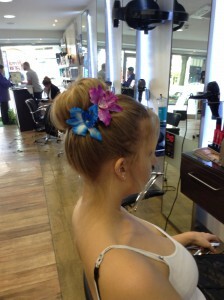 Hair Chalks start from £15, whilst Hair Ups start from just £17. 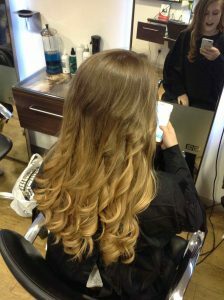 Ask in-salon. To find out more about our full range of Quick Fix hairdressing services, please visit here.